Not to be confused with Croatian Defence Council. The Croatian Army (Croatian: Hrvatska vojska or HV) and Croatian Ground Army (Croatian: Hrvatska kopnena vojska or HKoV) is the largest and most significant component of the Croatian Armed Forces (CAF). The fundamental role and purpose of the Croatian Army is to protect vital national interests of the Republic of Croatia and defend the sovereignty and territorial integrity of the state. Defend against possible aggression at strategic operational levels and to defend against any land, air, or amphibious assault, in co-operation with the other branches of the CAF. Help allies and friendly countries in time of need. Build the capability to carry out non-traditional tasks such as humanitarian support during floods, fires, and other natural disasters. The Croatian Army was formed in the Croatian War of Independence, when, on November 3, 1991, the Croatian National Guard was renamed the Croatian Army. The locally based regiments were named the Home Guard Regiments (Domobranska pukovnija). They were created on 24 December 1991, during the war, and ceased to exist in a 2003 reorganization. The Croatian Army is an all-volunteer force numbering 7,514 active duty personnel and 193 civil servants and employees as of August 2016. The Army can also call on 6,000 reserve personnel who serve up to 30 days every year. 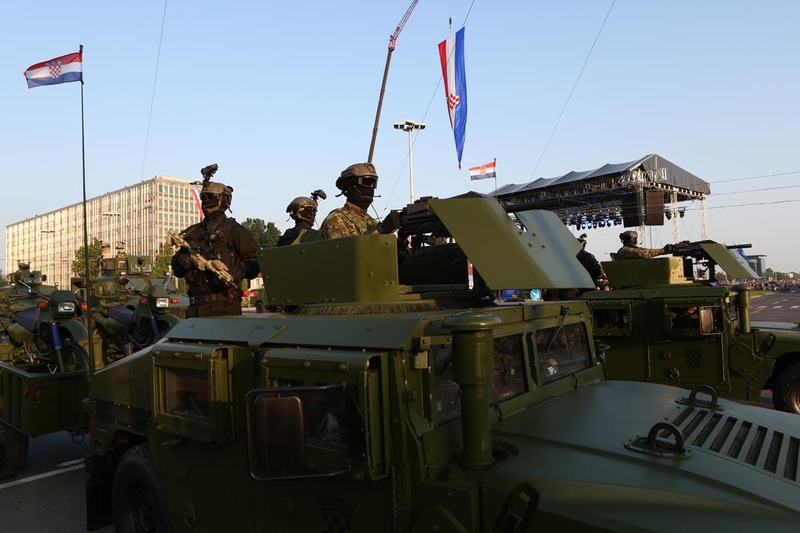 The Croatian Army is being reorganized to fit in the NATO doctrine of a small, highly capable force with an emphasis on mobility and versatility. Major combatant commands of the Croatian Army are one armored and one mechanized brigade, each brigade having a specific role and different responsibilities. In 2012, one motorized infantry company is to be detached and put under the command of the EU Battle Group led by Germany. Croatia continues to deploy 350 personnel in support of NATO International Security Assistance Force in Afghanistan. Croatia achieved NATO membership in April 2009. The defence reforms that Croatia initiated in 2000 have a long-term goal of replacing and modernizing the armed forces to meet the challenges of NATO membership. The plan calls for the modernization of the Army and the introduction of training and doctrine in line with Western (NATO) standards. Replacing ex-Yugoslav/Soviet hardware is also one of the main priorities. There are various ongoing initiatives, such as the upgrade of the tank fleet, introduction of new Armored Personnel Carriers and NATO standard assault rifles, etc. Procurement of new, NATO-compatible equipment takes a significant part of the defense budget. Until less than a decade ago, Croatia had operated just under 280 main battle tanks, but this number decreased significantly due to the withdrawal of roughly 200 obsolete T-55 tanks in 2006. 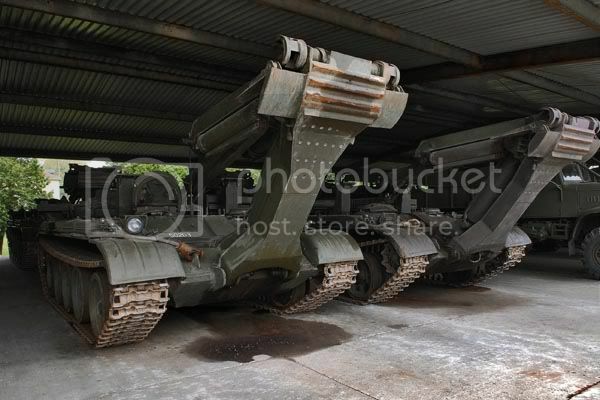 Most of these units have been scrapped, but a limited number have been stored as operational reserve in case of need. The mainstay now are the M-84A4 Sniper main battle tanks which are currently undergoing overhauls. However, modernization of the tank fleet to the M-84D standard is also envisaged. In July 2007 Patria AMV won the contract to supply the next generation of APCs to the Croatian Army. Only 84 vehicles were ordered at first with an additional 42 purchased in an extended contract signed in December 2008. Croatia now operates 126 units with the first six vehicles manufactured in Finland and delivered by late 2008. All remaining vehicles have been locally produced by 2014. Out of a total of 126 units, 112 are armed with 12,7 Protector (RWS) remote controlled stations. In early 2007, Croatia bought 10 Iveco LMV light armoured vehicles at a cost of 330,000 Euros per unit. According to official documents, 94 of these vehicles were needed by 2017. However, Croatia now relies on over 200 US-donated HMMWV and MRAP type vehicles. Steps have been made to standardize the difficult-to-maintain vehicle inventory of the Croatian military, which is full of various models of different origin, type and age. Starting with 2005, the Army bought 152 light trucks and vehicles, 156 in 2006 with an additional 170 obtained by the end of 2007. All vehicles are from prominent European or Japanese manufacturers including Mercedes-Benz, Land Rover, Iveco, MAN, Toyota and Nissan. These purchases are an ongoing process seen as roughly 150-180 new terrain vehicles are procured annually. The Croatian Army is introducing a new assault rifle in 5.56mm NATO caliber to replace large stocks of AK-47 and its derivatives. The chosen model is the locally manufactured VHS developed by HS Produkt. The initial batch of 1,000 rifles was ordered in 2009–2010 with the requirement for up to 20,000 rifles. The MoD press and photo releases from regular training activities indicate that the VHS had been issued to elements of the Military Intelligence Battalion, Combat Swimmer Detachment of the Special Forces Battalion, as well as to one of the infantry companies of the Guards Mechanized Brigade as early as 2011. Building on NATO's Partnership for Peace assistance programmes and full NATO membership since 2009, the Croatian Army has embraced the alliance concepts of the 24-hour, three-dimensional battlefield and the employment of highly trained and motivated forces equipped to deploy rapidly and operate with flexibility as part of a larger multinational force. The Croatian Army is also working more closely with the air force and navy, resulting in more multi-phased operations with detailed ground/air co-ordination, but more needs to be done at all echelons to achieve a deeper level of jointness. In all of these activities, the land forces are in the lead. Croatian soldier with VHS assault rifle. Soldiers take cover beside Patria AMV. Patria AMV ready for patrol. Economic recession in much of the EU and in Croatia from 2009 caused the revision of Croatia's plans to modernize its armed forces. Initially it was planned to spend around 15 billion kuna on armed forces modernization. Not included in this was a special purchase for advanced jet fighters at a cost of another 8-12 billion kuna. Croatia's responsibility towards NATO some schedules had to be fulfilled, such as procurement of modern armored personal carrier as well as modernization of infantry soldier, from training to equipping infantry units with best gear army can afford. Program is almost an end, should be fully implemented by the end of 2015. Although there were quite a few setbacks in Army modernization plans, such as delays in purchase of new infantry fighting vehicles, light armored personal carriers, no real strategy as to what to do with M84A4 main battle tanks and army logistics got little or no new equipment since 2008. However, large donations by US military as well as other NATO allies should ensure that the Croatian Army of 2020 can fully integrate and interoperate with NATO in terms of equipment, logistics and weapon systems. Procurement of 126 Patria AMV Modular APC/IFV - 2.8 billion Kuna (additional vehicles might be ordered after 2017). Procurement of 162 Oshkosh M-ATV, 30 Navistar MaxxPro MRAP and 20 BAE Systems RG-33L (6x6) Heavy Armored Ground Ambulance (HAGA), the latter also procured as part of the MRAP ID/IQ contract awards. The vehicles were delivered under the US Excess Defense Articles (EDA) programme. Croatia first requested MRAPs under the EDA programme in January 2013, with US Congress granting approval for the transfer of 170 vehicles in August 2013 and for a further 42 vehicles in March 2014. As is typical under the EDA programme, the vehicles were transferred on an 'as is, where is' basis, with Croatia responsible for the cost of shipping the vehicles and for any future refurbishment or modification they may require. Accordingly, the Croatian MoD paid the costs of the transfer of the Maxxpro MRAPs from US Army stores in Italy, and did the same for the shipping of the RG-33 HAGA vehicles from the United States. The M-ATVs, however, were in Afghanistan and their transfer costs were granted for free as part of the US Department of Defence Lift and Sustain programme. Procurement of a short and medium-range (ceiling of >12,000 meters) air-defense system around 2020 as a part of the new plan to form a surface-to air battery armed with short and medium range surface to air systems, most likely candidate for this program being IRIS-SL or MBDA MICA systems developed by European consortia Diehl BGT Defence and MBDA respectively, both systems have a range of 35 km and about 12 km altitudes meeting required parameters. Procurement of 12+3 surplus German PzH 2000 advanced artillery systems which are to be delivered in 2015 to augment (not replace) existing 2S1 self-propelled howitzers. Cost of program - 300 million Kuna. Modernization of 104 BVP M-80A Infantry Fighting Vehicle with new 30mm remote weapon station, new modular armour package and 3rd generation anti tank missile with range of up to 4 km, program cost 320 million kuna to be completed by 2024, replacement by western modern IFV wasn't discounted. Procurement of 3rd generation of Anti tank missile including vehicle mounted versions, up to 200 launchers and 2000 missiles and simulators. FGM-148 Javelin and Spike being main contenders for this program. Cost of program - 400 million Kuna. Procurement of 550 x 5-ton army trucks, negotiations with Germany over purchase of 2nd hand trucks and support vehicles has ensured much of the program parameters, with some 400 vehicles to be delivered by late 2015 and early 2016. A commercial tender for brand new trucks will be held in 2016 to supply additional 300 vehicles that will replace older no longer viable vehicles currently in service. MAN HX-Serie and Mercedes Zetros being most likely choice. Modernization of M-84A4 Sniper MBTs. Program calls for an upgrade and modernization of 16 tanks. Modernization of 16 M84A4 tanks to M84A5 (also known as M-84D) standard will be completed by the end of 2016, Army is to retain additional 32 M-84A4 tanks with the remainder used for spare parts. Additional 6000 VHS HS Produkt rifles will be purchased by 2018 for total of 12000. Complete overhaul and modernization of two engineer company sized units with latest NATO engineering equipment including battlefield support and engineering equipment. Overhaul and modernization of communication and data link networks as well as battlefield management systems – program cost: 150 million kuna, program finalized in 2003 and 2007, Croatian army purchased 135 TRC4000 communication and data link full sets as well as 700 SINCGARS-RT-1702G sets and in 2013 donation by US Government of additional 18 Harris 117G sets completes the overall requirements for Croatian Army for modern NATO standard communication and data link equipment., procurement of communication and night vision equipment for all units and vehicles to comply with NATO standards. Program will be financed by Croatian budget but also though donations by US. The Croatian Army's requirement for personal protection side arms is being fulfilled by the locally produced HS2000 hand gun design, which has also become increasingly popular in the United States and elsewhere. The Croatian Army's current 2 standard assault rifles are the VHS and VHS2. The VHS's family of assault rifles replaced M70 entirely in 2015. 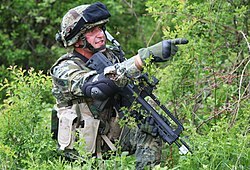 Croatian peacekeepers and serviceman who serve on NATO/EU missions tend to be supplied with the German-made H&K G36C rifle and, to a lesser extent, the US Colt M4 carbine. The Croatian Army inherited large quantities of Yugoslav Army light infantry weaponry, much of it captured during the Battle of the Barracks. These were supplemented by indigenous designs, some of which were very successful and found export markets. During the 1990s, these were perfectly acceptable light infantry weapons; however, with Croatia's entry into NATO, many older Yugoslav-era designs were seen as redundant and surplus to the requirement. Much of stock of small arms is being replaced by western designs and will lead to the eventual withdrawal of some older models such as Zastava M76, RT-20, MSCS M1 &2, and older Remington rifles. Croatia has acquired a substantial quantity of Sako TRG 42 sniper rifles with the aim of equipping the current army (around 7 infantry battalions) with 32 Sako TRG 42 sniper rifles per battalion. Additional equipment, such as optics and grenade launchers, were also obtained from domestic and German suppliers. Machine guns inherited from the Yugoslav era are also being supplemented by a large number of western models, namely FN MAG, Ultimax 100, M249 light machine gun and, contentiously, an ever-growing quantity of M2 Browning machine guns (of which Croatia had some 570 examples at the end of 2010, but numbers are likely to grow to well over 800 by 2020 due to number of new armored vehicles being armed with remote overhead weapon stations, as well as stand alone firing ports on a number of new armored vehicles Croatia has acquired or is to acquire from US and other NATO partners). As of late 2017, Croatian Army maintains over 15000 VHS/VHS2 assault rifles in service, of these more than half are newer model HSP VHS-2, with ground forces transitioning to only HSP VHS-2 with in next few years. Army will retain original VHS-1 rifles in reserve, however Army plans to order up to 50 000 HSP VHS-2 rifles. HS Produkt VHS/VHS2 5.56×45mm Croatia 14650 Around 3000 rifles in service as of early 2013, with additional 1580~ acquired under original 2008 contract, 500 VHS1 Rifles intended for Croatian Army sold to US DOD. Army Order for 300 VHS 2 Rifles made with future order for 20 000 VHS 2 agreed. VHS2 Rifles to replace VHS 1 which will be relegated in to reserve status. H&K G36C 5.56×45mm Germany 750 Used by peacekeepers, special Forces and Ministry of the Interior, additional 200 acquired for MUP for total of 750. Heckler & Koch HK416 5.56×45mm Germany 550 Used by peacekeepers, ISFOR and Special Forces in Croatia. New order for 250 Heckler & Koch HK416 and 100 Heckler & Koch HK417 for delivery in 2018. Zastava M70 7.62×39mm Yugoslavia 640 Around 88,000 stored and offered for sale, 44,000 sold to Afghanistan in 2010, 4000 donated to Mali in 2013, some 6000 rifles sold to Syrian Rebels via Jordan and Saudi Arabia. Completely withdrawn from use by the end of 2015, however some 640~ left for use in opfor training..
Sako TRG-42 8.6×70mm Finland 240 standard sniper rifle of Croatian Army replacing older models. Heckler & Koch HK417 7.62.70mm Germany 150~ standard light 'Assaulter' sniper rifle of Croatian Army, used as designated marksman rifle with in Croatian Army. More to be acquired. MACS M3 12.7×99mm Croatia 20~ standard high caliber sniper rifle, supplements Sako TRG. Remington M40A5 7.62×51mm United States 70~  100~ older A1 models being phased out, with few remaining for familiarization and training. Barrett M82 12.7×99mm United States 24~ anti-materiel rifle, a dozen or so kept in reserve status. RBG-6 40×46mm South Africa/ Croatia 124 112 with Croatian Army and 12 with special forces and anti terrorist units. H&K AG36 40×46mm Germany 300 Comes as standard with all H&K G36C deployed in ISAF and other NATO/EU missions. Mk 19 grenade launcher 40×53mm United States 32+ For the first time seen in the public at recent Military parade held in Zagreb, 32 weapons purchased for 4.8 million kuna. Mounted on to MATV and M1151 Up-Armored Capable HMMWV vehicles. More to be purchased, requirement calls for 224 weapon systems. FN M249 5.56×45mm Belgium 100+ More to be acquired. Ultimax 100 5.56×45mm Singapore 100 Acquired in mid 1990s, just after the Homeland War. On April 24, 2013 the Defence Minister signed a memorandum with Đuro Đaković – Specijalna vozila for the upkeep, maintenance and modernization of the M-84 fleet (48 tanks) with the aim to improve the serviceability of the fleet. According to current plans only 4 tanks are to be fully overhauled at cost of $1.8 million or $450,000 per tank with potential for further 44 tanks to be fully overhauled by late 2020 at cost of $20 million or 110 million Kuna. Long-term plans regarding the future role of M-84 tanks in Croatian Army is to be defined by MOD. The new proposed defence white paper envisages only a fleet of 48 tanks. Public consultation is being held as to what direction will be taken in regards to current tank fleet, purchuse of new western tanks or further modernization to A5 standard. M-84A4 Sniper MBT Yugoslavia 72 All M-84A tanks brought to this standard by 2008 and are awaiting further upgrade. The fleet is undergoing limited overhaul with 4 tanks to be refurbished by the year's end at the cost of 440,000 USD per vehicle. Under new proposed Defence White paper only 48 (44+4) tanks will be kept, remaining tanks either sold or put into reserve status. The Croatian Army relies on M-80A infantry fighting vehicles, of which there are 128 in service. These vehicles are deployed in two mechanized infantry battalions. Croatian MOD stated that the M-80 will be replaced at some point in the future and that there are no plans to modernize these vehicles. Due to increased defence expenditure, Croatian Government is considering a purchase of new infantry fighting vehicles, although previous SDP government was looking at Marder 1a3 as an interim solution. 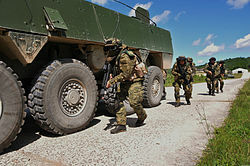 Current government is keen on brand new vehicle, Croatian requirements call for 92 vehicles in standard IFV role armed with 30mm cannon or remote weapon station integrated with twin modern anti tank missile launchers, additionally unarmed 8 vehicles as armoured ambulance, 4 unarmed driver training vesicles, 8 unarmed armoured recovery vehicles and possibly same number of armed command vehicles. Most Likey choice is between Sweden's Combat Vehicle 90 and German's Puma IFV. Value of potential order might be in the region of 3 billion kuna, or €410 million. The likely purchase of new infantry vehicles won't happen before 2020. BVP M-80A IFV Yugoslavia 128 A total of 104 vehicles operational in two battalions, additional 24 converted or surplus units. Possible modernization of the fleet has been dismissed, replacement IFV will be known by late 2017 or mid 2018, 108 new vehicles are needed, 88 Infantry fighting vehicle armed with a turret supporting 30mm cannon and two modern anti tank guided missiles, 8 Armoured recover vehicles, 8 Armoured Ambulance and 4 command vehicles. Budget for said vehicles isn't know, it is estimated to be in the region of 1.5 billion kuna. Since the purchase and equipping of 126 Patria AMV has been posing a significant financial strain on the military budget for quite some time now, the current needs of the Army are going to be met primarily by acquiring second-hand hardware from allied sources. NATO, with the USA being the prime supplier of such vehicles. Previous needs for additional Patria IFVs and Iveco LMVs are now going to be met by introducing large numbers of Oshkosh M-ATVs of which 162 are to be introduced into service in 2014. Cost of the program is merely $10 million, with Croatian MOD only paying for the transport of said vehicles. Patria AMV APC Finland/ Croatia 126 All units were delivered by mid-2013 but final fitting out and equipping to be concluded no sooner than 2016. 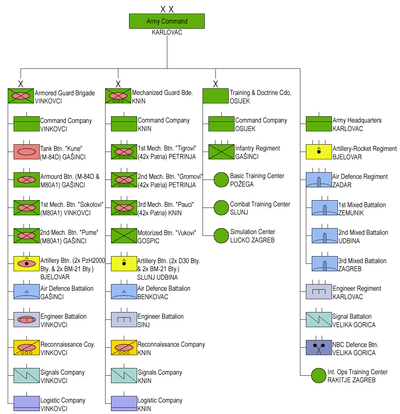 An additional third battalion might be ordered after 2015 to fulfill all NATO obligations. Iveco LMV IMV Italy 14 An additional 84 vehicles were planned to enter service by 2017 but this option has been dropped due to the delivery of large quantities of M1151 Up-Armored Capable HMMWVs and similar vehicles. M1151 Up-Armored Capable HMMWV IMV United States 93 The vehicles are mostly used by the ISAF forces in Afghanistan, but at least 13 newly built units delivered in 2012 are home-based + additional 8 delivered in 2015 for total of 21. 65 M1151s and 20 M1141 vehicles in service. Oshkosh M-ATV MRAP United States 172 The initial order was made for 122 M-ATV but additional 40 units were requested and approved by US Senate. Of 162 M-ATVs received as EDA, 15 are going to the Croatian Special Forces Command (SFCOM), 5 will be with the Support Command (SCOM), 2 with the Military Police Regiment, and 78 are to enter service with the Croatian Army in 2015, with a further 62 to follow in 2016 (equipping the 1st Battalion of the Motorized Guards Brigade in Gospic). 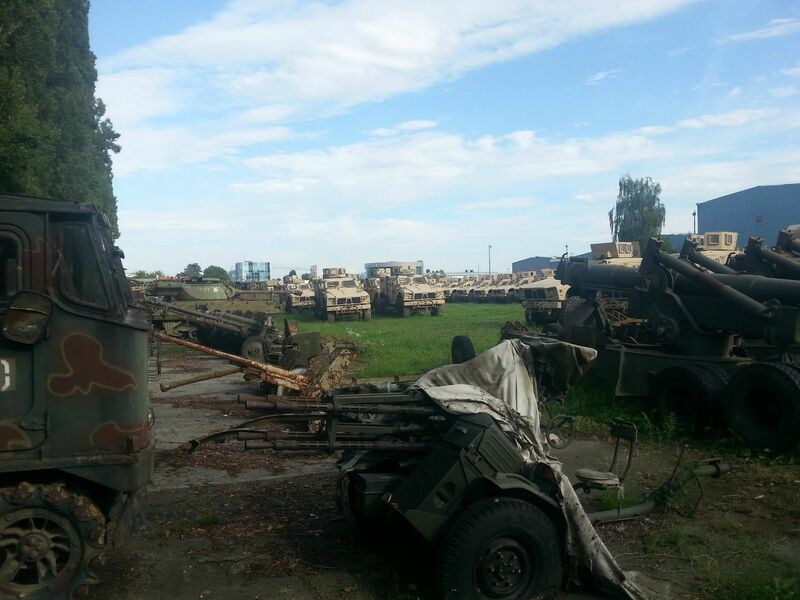 Additional 10 vehicles are still deployed in ISAF to return to Croatia in 2015 for total of 172 vehicles. RG-33 MRAP South Africa 20 A total of 20 RG-33L (6x6) MRAP HAGA delivered and to enter service with SCOM during 2015. M-84AI Armoured Recovery Vehicle Yugoslavia 4 The last vehicle entered service in 2002. T-55TZI Armoured Recovery Vehicle Soviet Union 4 The Croatian MoD is currently looking for a replacement. MaxxPro Recovery Vehicle Armoured Recovery Vehicle United States 6 Entered service in 2016. MT-55A Armoured Bridge Vehicle Czechoslovakia 2+ Additional bridge units are mounted on KrAZ 6x6 heavy trucks, currently awaiting replacement. GSP-55 self-propelled amphibious ferry Amphibious Vehicle Soviet Union 2 Only two operational and used with engineering unit. Awaiting replacement by modern NATO system. PTS-M Amphibious Vehicle Soviet Union 4 Actively participated in transport actions during the floods of 2014. PMS Pontoon Bridge Soviet Union 4-5 All are mounted on Tatra T813 8x8 trucks. Four systems seen at the parade, serving with engineering regiment, awaiting replacement by modern NATO system. JCB Fastrac/JCB 4CX Digger/Loader United Kingdom 12 Number of support and land clearing equipment purchased or donated by US. MV-4 Combat engineer Croatia 4 Used for demining operations. Under the newly proposed plan, the Croatian Army is set to revive its capability of hitting targets beyond the 10 km range. Current systems in service are all short-ranged with Strijela-10CROA1 (Croatian army's only SAM systems) having a maximum range of 7 km. The purchase of new systems will be highly dependent on price and support packages, with VL Mica, Crotale, SPYDER and NASAMS 2 being among most likely choices. Strijela - 10CROA1 Short range air defense Croatia 9 In 3 version. BOV 20/3 SPAAG Yugoslavia 44 The triple M55 20mm anti-aircraft guns mounted on a BOV APC. The systems are set to remain in service due to their secondary role as heavily armed APCs. Bofors 40 mm L/70 anti-aircraft autocannon Sweden 12 Paired to Giraffe radars. Although Croatia acquired the S-300 long-range surface-to-air missile system in 1994, and demonstrated some of its parts on the 1995 military parade, it is believed that the system was never fully completed and operational although the training of crews was sought as late as 1998. Some sources claim that the weapon was subsequently handed-over to the United States or Israel in 2002–2004. However, officials still claim that the system is stored somewhere in Croatia. The Croatian Army has relied heavily on Russian and domestically made anti-tank systems and rocket-propelled grenades, many of which by modern standards are obsolete or inadequate. The procurement of modern anti-tank system is being addressed and current plans call for the purchase of several dozen launchers for Patria AMVs which are to be fully integrated with 30mm license-built Kongsberg RWS. Swedish AT4 systems are viewed as the future unguided anti-tank weapon of the Army and a certain number of these has already entered service. The unguided M80s are being relegated to reserve status while the other domestically manufactured RPG weapon, RL90 M95 is set to remain in active service for some time. Spike and Javlin being main contenders for Croatian army choice of next generation anti tank missile systems replacing older soviet made systems currently in service. up to €20 million order for launchers will be made in 2017, with up to 64 launchers being delivered to army, of which up to 16 will be LR or mounted to a 30mm RWS turret developed by Kongsberg. Longer term Croatian army requirements call for 200~ launchers including infantry and vehicle mounted. Spike LR anti tank missile Israel 20 Initial purchase of up to 20 launchers, simulator and unknown quantity of missiles to initially equip 8 Patria AMV in Croatian army service. 32 Patria will eventually undergo similar upgrade. Currently Croatian Army has requirement for 200+ Launchers and at least 1000+ missiles to replace current stock of Soviet anti tank missiles in service with the infantry formations. However, beyond initial 20 launchers, no clear indication when the additional launchers might be purchased. 9К115-2 Metis-M/9K115 Metis wire-guided anti-tank missile Soviet Union 54 System purchased from Russia and Ukraine in early 1990s, during the war of Croatian Independence, 54 launchers and over 300 missiles in service. 9M113 Konkurs wire-guided anti-tank missile Soviet Union 42 System purchased from Russia and Ukraine in early 1990s, during the war of Croatian Independence, 42 launchers and over 300 missiles in service. To be replaced by Javelin or Eurospike at some point in near future. 9K111 Fagot wire-guided anti-tank missile Soviet Union 119 300 launchers and 3000 missiles delivered in 90s, only 119 operational, the rest in reserve status. Awaiting replacement by a modern tandem warhead anti tank system. 9K11 Malyutka wire-guided anti-tank missile Soviet Union 216 216 modernized launchers/missiles integrated with M-83 Polo armoured vehicle with 6 launchers installed per each vehicle and with 18 vehicles deployed per each combat brigade, complete withdrawal from service by end of 2016, to be replaced by modern tandem warhead system after 2015. Javelin and EuroSpike are being considered as a replacement, with Javelin having considerable advantage due to commonality issue with Patria AMV 30mm ATGM RWS turrets. RL90 M95 RPG Yugoslavia 770 over 1500 systems available, with 770 in service deployed with 4-6 with each combat platoon. To be phased out by 2017 and kept in reserve, replaced entirely by Swedish made Carl Gustav recoilless rifle or similar western system after 2020. AT4 RPG Sweden ~ The exact number of these weapons is unknown. AGM-114 Hellfire air-to-surface missile United States 32+ 32 on order 32 air/helicopter launchers and number of missiles where purchased as part of OH 58D purchase. 32 new Hellfire missiles purchased as part of $3.2 million contract with US manufacturer. This is 2nd such purchase of same number of missiles. Croatia currently has stock of 32 missiles, with pending delivery for 32 more, requirements calls for at least 128 missiles plus number of training missiles. With the end of the conflict in Croatia at the end of 1995 Croatia inherited large stockpile of Yugoslav era weapons systems. Decision was made to modify two battalions of D-30 HR M94 Soviet-made artillery systems to be compatible with NATO firing tables as an interim and cheap solution, with rest of the artillery stockpile kept in prepared state of reediness. The situation is very dire, with the Croatian Army having no artillery system capable of hitting targets beyond 20 km, to avert what was a serious shortcoming the Croatian MOD placed an order for modern NATO artillery system with capability that can exceeds 20 km range requirement. According to media reports, the Croatian MOD chose to purchase 12+3 Panzerhaubitze 2000 (or one battalion) howitzers from the German Army stock for $48 million. The system ended their deliveries in 2018, and all the support infrastructure required including training and logistic and supply trucks. M57 Mortar 60mm Yugoslavia 69 1253 kept in reserve mortar has effective range of 3500m with standard projectile. Mortar underwent modification to meet NATO requirements. M96 Mortar 82mm Yugoslavia 69 360 kept in reserve, improved copy of the Yugoslav M69 mortar Mortar has 5600m effective range with a standard projectile, 4200m illuminating projectile and 4800m with light anti armour projectile. Mortar underwent modification to meet NATO requirements. M75 Mortar 120mm Yugoslavia 43 201 kept in reserve Mortar has 9500m effective range with a standard round projectile, and 5500m with illuminating projectile. Mortar underwent modification to meet NATO requirements. 75 mm M116 howitzer Howitzer 75mm United States 12 of 57 artillery pieces only 12 are kept in active service primarily as ceremonial cannons, remaining cannons to be phased out by the end of 2015/6. M56/M101 Howitzer 105mm Yugoslavia/ United States 48 Some are US and some Yugoslav-built under license. Some 44 kept in reserve with additional 4 used for training. Last ammunition check was conducted in October, 2015. D-30 RH M94 Howitzer 122mm Soviet Union 52 Modified Soviet D-30 howitzers brought in line with NATO commonality standards. One is in a museum and 3 loaned to NATO's Joint Multinational Training Centre in Hohenfels in Germany for extend time. To be kept in service for the foreseeable future. Four units took part in the military parade in 2015. 130 mm towed field gun M1954 (M-46) Howitzer 130mm Soviet Union 19 To be kept serviceable for the reserve forces. Two units took part in the military parade in 2015. Last ammunition check was conducted in October, 2015. CITER 155mm L33 Gun Howitzer 155mm Argentina 18 All systems operational. 2S1 Gvozdika Self-propelled howitzer 122mm Soviet Union 9 Due to be augmented by 12 Panzerhaubitze 2000 and possibly replaced by 6 additional PzH2000 in the long term. Plan for limited modernization the system including installation of NATO compatible combat and communication equipment. 6 systems in use and 3 used as spare. To form armoured self-propelled artillery battalion. RAK-12 Towed multiple rocket launcher 128mm Croatia 68 Some 8 systems are in active service while additional 60 are kept in reserve status. APR–40 Mobile Multiple Rocket Launcher 122mm Socialist Republic of Romania 31 Ordered from Romania in 1992–1993. Replacement by modern NATO system is a priority under new defence white paper, no mention of what system would replace current Multiple launch Systems in service, talks are being held with US and German governments on possible purchase of M270 Multiple Launch Rocket System (M270 MLRS), Croatian requirements call for initially 8 systems to form a two battery teams at independent Artillery regiment, with potential for further 16 systems to equip 2 active brigades for total of 24 systems + simulators and training aids. Number of systems Croatian Army might purchase will solely depend on price of the entire purchase and delivery dates, Croatian Defence budget has set aside some 200 million kuna or $32 million for this program, although it is likely said systems might be donated by the US for symbolic price in turn Croatian MOD paying only VAT for said vehicles in which case price tag might be negligible and affordable. M-92 Vulkan Mobile Multiple Rocket Launcher 122mm Croatia 6 Croatian modification of a mobile multiple rocket launcher 128mm M-77 Oganj in 122mm M-92 Vulkan. The launch box and the fire system have been modified. The volcano battery (4 units) is part of the Croatian contingent in Poland (Battle Group Poland). 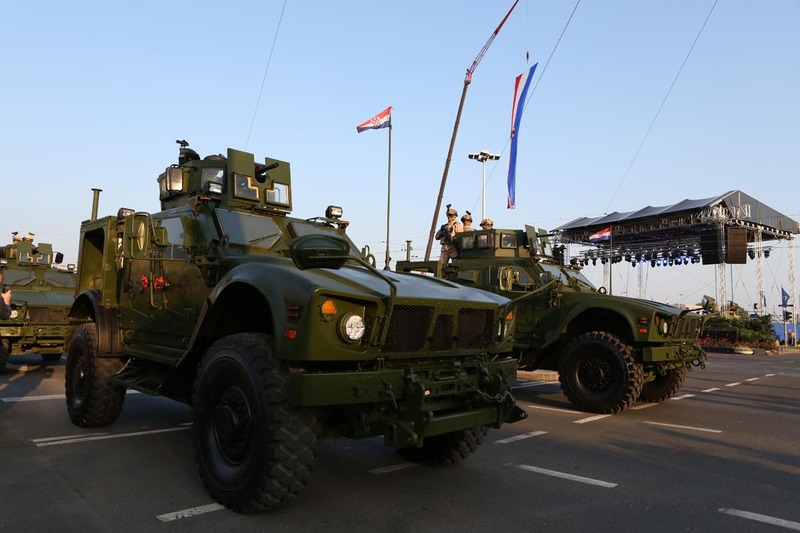 The logistic component of the Croatian Army is being renewed continuously and over the past decade a number of new vehicle have been procured. Stated requirement calls for 1,250 5-10 ton military trucks, 550 4WD Jeeps of all sorts and a number of other support and utility vehicles. In recent times, the Croatian MOD has signed procurement agreements with MAN, Iveco, Mercedes and Astra Iveco. Most notably in recent history was a corruption affair that resulted in the dismissal and subsequent custodial sentence for former defence minister Berislav Rončević who "approved procurement of 33 Iveco Astra Military Trucks at inflated price without holding a public procurement tender that is a standard procedure in any major defence procurement program". The Croatian MoD has since purchased a number of new military trucks and 4WD vehicles through public procurement program; the latest being a 2011 procurement of some 80 Mercedes, MAN Trucks and 120 Toyota and Nissan 4WD vehicles. Although, as of late 2012, nearly half of the Croatian Army's logistics inventory is obsolete or near obsolete and in need of a replacement. 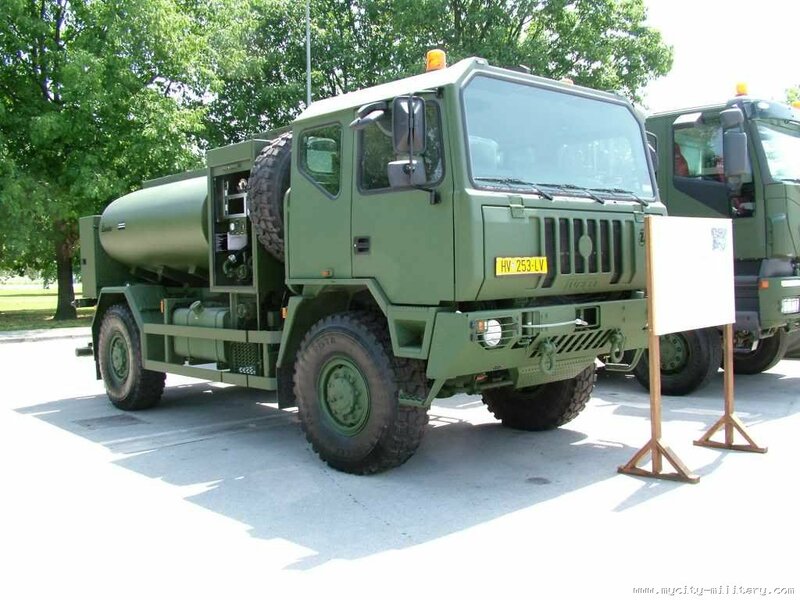 As of late 2012, the Croatian Army lacks some 400 Military trucks of all sorts. Also, many vehicles in the current stock are quite obsolete and in need of replacing. The problem is furthermore escalated by the fact that the Defence Budget for 2013 has been slashed by 250 million kuna, further reducing the probability of the Croatian Army receiving new logistic vehicles. The Croatian Army is now looking to acquire some German Army surplus stock, in good condition and available for use; 300–400 Army trucks are needed and it is likely they will all come from German Army surplus –most of them MAN KAT1 army trucks– and other unspecified vehicles indeed. Currently the army is seeking to acquire a number of 5t, 7.5t and 12.5 ton trucks. Due to a shortage of funds, purchase of brand new equipment is difficult, although the army annually receives up to several dozen brand new specialist vehicles. When possible, the army tries to obtain 2nd hand vehicles from German, or other NATO member surplus stock. The army has a requirement for 1500 trucks of all sorts, however currently it lacks at least 500 trucks and heavy goods vehicles. Iveco 5T Transport Truck Medium cargo truck, Cab forward Italy 120+ initial order of 39 vehicles made in 2005 and subsequent order for additional 80 vehicles in 2008 and 2009. Currently over 120 vehicles in service. TAM Utility Truck, Cab forward Yugoslavia 600~ large number of these trucks in various configurations still serve in many roles within Croatian Army, they're being replaced by modern models but, due to defence cutbacks, these vehicles are likely to remain in service for the foreseeable future. These vehicles are, in many cases, now over 40 years old; replacement is sought when and where possible. Torpedo TK 130 Utility Truck, Cab forward Croatia 50~ large number of these trucks in various configurations still serve in many roles within Croatian Army, they're being replaced by modern models but, due to defence cutbacks, these vehicles are likely to remain in service for the foreseeable future. LkW MAN 5t MIL GL 4x4 5T Troop transport, Cab forward Germany 37 Initial purchase of 27 German Army trucks that were stored and now being refurbished for Croatian Army. In 2015, MoD bought 10 more trucks from German surpluses, in accordance with the 2013 Framework Agreement on the purchase of used trucks and containers from the surplus of the German Armed Forces. LkW MAN 7t MIL GL 6x6 7T Troop transport, Cab forward Germany 5 In 2015, MoD bought 5 trucks from German surpluses, in accordance with the 2013 Framework Agreement on the purchase of used trucks and containers from the surplus of the German Armed Forces. 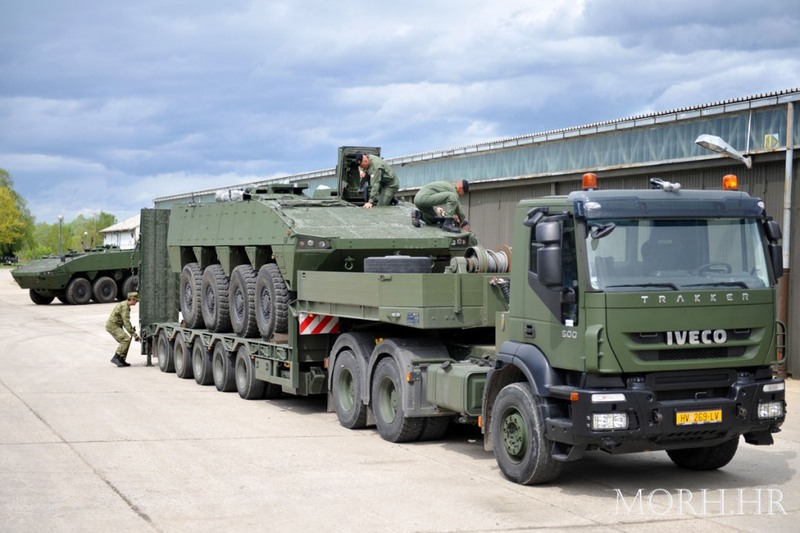 LkW MAN 10t MIL GL 8x8 10T Troop transport, Cab forward Germany 5 In 2015, MoD bought 5 trucks from German surpluses, in accordance with the 2013 Framework Agreement on the purchase of used trucks and containers from the surplus of the German Armed Forces. MAN Tank Transporter 40T Truck Tank Transporter, Cab forward Germany 16 16 older MAN units in service, being replaced by modern equivalent soon. Astra Trucks Medium Utility Vehicle, Cab forward Italy 12~ Standard utility vehicle of the Croatian Army, 33 units ordered in 2004, all delivered and in service. Iveco Trekker chosen as a heavy truck, future orders unlikely. DAF Trucks 4WD/Medium Utility Vehicle, Cab forward Netherlands 20~ Standard utility vehicle of the Croatian Army; 60 units received from the Dutch Army reserve stock in 2001, however only 20 or so remain in service. Mercedes-Benz Actros 6x6 and 8x8 Heavy utility vehicle, Cab forward Germany 40 Standard heavy utility vehicle of the Croatian Army, 40 units ordered in 2010, all delivered and in service by mid-2012. Iveco chosen as preferred heavy truck over Mercedes, Scania, Volvo, Renault and MAN. Toyota Landcruiser 4WD/Utility vehicles/Military light utility vehicle Japan 80~ 150 Ordered in 2008 and delivered in 2010, half went to other government departments, including the Ministry of the Interior. All are in good serviceable condition; it is a standard utility vehicle in service with the Croatian Army and other governmental agencies of Croatia. Mercedes G 4WD/Light utility vehicle/Military light utility vehicle Germany 320+ Standard utility vehicle of the Croatian Army, 250 units ordered in 2002/3, all delivered and in service. An additional 74 vehicles ordered in 2008 and delivered in 2010. Further deliveries in 2015 and 2017, to replace the oldest vehicle in service. Land Rover Wolf 4WD/Military light utility vehicle United Kingdom 32~ Primarily used by the Croatian Army's special forces and military police; many transferred to the Croatian Police. Of the 200 ordered in 1998, only 32 remain in service with the armed forces; some 120 transferred to civilian use, many ending up with the MUP, ministry of interior in various roles, some with Croatian Mountain Rescue Service and some with Border Patrol Units. Iveco Trakker Medium and heavy trucks, cab forward Italy 120+ initial order of a half a dozen or so vehicles made in 2007. Most are used along with the MAN Trucks for heavy transporter role. Chosen as the main heavy truck for Croatian Army Service. To replace older FAP, TAM and MAN trucks in service with the Army. The quantity of these vehicles has increased year by year, but due to shortage of funds major purchases are avoided. Currently about a dozen or so new vehicles are ordered and delivered each year. Iveco Daily Medium trucks Italy 120+ Initial order of a half a dozen or so vehicles made in 2007. Most are used along with the FAP and TAM medium trucks for a logistical transporter role. 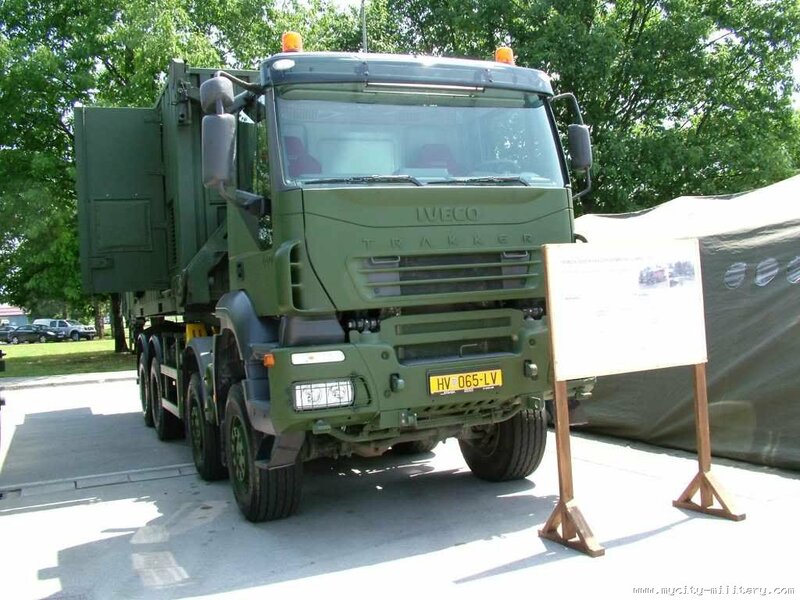 To replace older FAP, TAM and Zastava aging trucks in service with the Army. Number to vehicles to rise; however, due to shortage of funds, major purchases are avoided. Currently about a dozen or so new vehicles are ordered and delivered each year. Nissan Navara 4WD/pickup truck Japan 250+ Standard utility vehicle of the Croatian Army, 80 units ordered in 2010, all delivered and in service by mid-2012. Additional vehicles ordered to replace older vehicles currently in service. Currently over 250 in service with the armed forces. Zastava M84 7.62×54mmR, totally phased out and replaced by Western systems. Zastava M76, 7.92×57mm sniper rifle was phased out entirely replaced by Remington and SAKO in service with the Army. T-55A withdrawal of over 280 units started in 2006 with a dozen or so tanks used for training until late 2009, but even that is no longer the case due to shortage of funds and all units have now been withdrawn and awaiting disposal. M-87 Orkan MRL 260mm, Captured during Battle of the Barracks in 1991, systems are kept in reserve status due to lack of proper ammunition. RPG-7 Systesm retired but some might be used by army reserve and for training purposes only. RPG-22 system replaced by AT4 and other RPGs currently in use with the Army. Wikimedia Commons has media related to Army of Croatia. ^ "Home – Ministry of Defence of the Republic of Croatia". Retrieved 24 December 2014. ^ "Jane's by IHS Markit". janes.ihs.com. Retrieved 2018-09-14. ^ "Braniteljski portal - ...Ne pitaj što domovina može učiniti za tebe, nego što ti možeš učiniti za Domovinu..." Retrieved 24 December 2014. ^ "Request Rejected" (PDF). Archived from the original (PDF) on December 21, 2008. Retrieved 19 June 2016. ^ "Republic of Croatia - Annual Exchange of Information on Defence Planning - OSCE 2012-cor1" (PDF). 18 May 2012. Retrieved 28 September 2015. ^ "Croatia receives donated Maxxpro MRAPs". Jane's Defence Weekly. 4 September 2014. Retrieved 10 April 2015. ^ a b c d "Dugoročni plan razvoja Oružanih snaga Republike Hrvatske 2015 2024 pripremljen za objavljivanje" (PDF). 24 September 2014. Retrieved 28 September 2015. ^ "GODIŠNJE IZVJEŠĆE O SPREMNOSTI OBRAMBENOG SUSTAVA, PROVOĐENJU KADROVSKE POLITIKE I UKUPNOM STANJU U ORUŽANIM SNAGAMA REPUBLIKE HRVATSKE ZA 2012. GODINU, S IZVJEŠĆEM O STANJU OBRAMBENIH PRIPREMA U REPUBLICI HRVATSKOJ ZA 2012. GODINU" (PDF). REPUBLIKA HRVATSKA MINISTARSTVO OBRANE. 29 May 2013. Retrieved 28 September 2015. ^ "Hrvatski vojnik - Internet izdanje". Archived from the original on 24 September 2007. Retrieved 28 September 2015. ^ a b "Hrvatski vojnik - Internet izdanje". hrvatski-vojnik.hr. Retrieved 28 September 2015. ^ "Hrvatski vojnik - Internet izdanje". Archived from the original on 1 June 2008. Retrieved 28 September 2015. ^ "Modern Firearms - IM Metal HS 2000". world.guns.ru. Retrieved 28 September 2015. ^ "Potpisivanje Ugovora o nabavi vojnih odora i jurišnih pušaka za potrebe OS RH". Retrieved 24 December 2014. ^ "Amerikanci hitno naručili 500 komada hrvatske jurišne puške – Zadarski list". Retrieved 24 December 2014. ^ "Image: hvu_konferencija_01042014_17.jpg, (1200 × 798 px)". morh.hr. 1 April 2014. Retrieved 28 September 2015. ^ "HV nabavlja 20.000 novih pušaka, ugovor vrijedan 50 milijuna kuna - Večernji.hr". vecernji.hr. Retrieved 28 September 2015. ^ "File:HK 417 080810 44.jpg". Retrieved 24 December 2014. ^ "Hrvatska vlada donirala Maliju oružje vrijednosti milijun kuna". Retrieved 24 December 2014. ^ "Za mir i sigurnost u Afganistanu Hrvatska donira 15.000 pušaka i 300 topova". Retrieved 24 December 2014. ^ "Image: 5b2eef04df_mimohod-b-tehnika-4_750x550.jpg, (750 × 550 px)". hrvatski-vojnik.hr. Retrieved 28 September 2015. ^ "Image: mimohod_0150.jpg, (1200 × 800 px)". osrh.hr. 5 August 2015. Retrieved 28 September 2015. ^ "Image: mimohod_0151.jpg, (1200 × 800 px)". osrh.hr. 5 August 2015. Retrieved 28 September 2015. ^ "Potpisano Pismo namjere između MORH-a i Đure Đakovića :: MORH - Ministarstvo obrane Republike Hrvatske - službeni web portal". Archived from the original on 27 April 2013. Retrieved 28 September 2015. ^ "MORH plaća 10 milijuna kuna za remont četiri tenka M-84". Poslovni dnevnik. Retrieved 24 December 2014. ^ "Od Linićevih rezova OSRH spašavaju jedino američki saveznici". Retrieved 24 December 2014. ^ "Neslana šala: SAD poslala Hrvatskoj vozila koja se prelako prevrću > Slobodna Dalmacija > Hrvatska". Retrieved 24 December 2014. ^ "HRT: Emisije na zahtjev: Dnevnik: Dnevnik, 23.12.2014". Hrvatska radiotelevizija. Retrieved 24 December 2014. ^ a b c "Croatia displays new AFV fleets". Jane's Defence Weekly. 25 March 2014. Retrieved 10 April 2015. ^ "Image: sYbuwie.jpg, (2448 × 1836 px)". i.imgur.com. Retrieved 28 September 2015. ^ "HRT: HV-u predano 30 MRAP vozila - američka donacija". Hrvatska radiotelevizija. 7 April 2014. Retrieved 24 December 2014. ^ "Prvi mimohod Oružanih snaga Republike Hrvatske 30.05.1995". YouTube. Retrieved 24 December 2014. ^ "MINISTAR U AKCIJI Kotromanović poništio pokušaj namještanja posla Izraelcima - Jutarnji.hr". jutarnji.hr. Retrieved 28 September 2015. ^ Drazen. "Bojevo gađanje protuoklopnim raketnim sustavima na Gašincima – Ministarstvo obrane RH". Retrieved 24 December 2014. ^ "Image: gadjanje_23082013_v.jpg, (1200 × 900 px)". morh.hr. 23 August 2013. Retrieved 28 September 2015. ^ Richard D (January 27, 2009), Infantry Weapons 2009/2010 (35 ed. ), Jane's Information, ISBN 978-0-7106-2869-5. ^ "Kotromanovićev shopping za 275 milijuna za HV – Jutarnji.hr". Retrieved 24 December 2014. ^ "SAD besplatno oprema Hrvatsku vojsku > Slobodna Dalmacija > Spektar". Retrieved 24 December 2014. ^ "NATO – Balkan Monitor – A Defence & Security Daily". Retrieved 24 December 2014. ^ "Hrvatski vojnik - Internet izdanje". Archived from the original on 5 February 2015. Retrieved 28 September 2015. ^ "FOTO: Vojna vježba hrvatske kopnene vojske i američkih zračnih snaga | Dnevno.hr". dnevno.hr. Retrieved 28 September 2015. ^ "Hrvatska kupuje 12 njemačkih 'Panzerhaubitza'". Večernji.hr. Retrieved 24 December 2014. ^ "Croatia seeks PzH 2000 purchase". Retrieved 24 December 2014. ^ "29.7.2015 - Prve PzH 2000 u Hrvatskoj - odlazak - YouTube". youtube.com. Retrieved 28 September 2015. ^ "Gađanje SVLR M-92 Vulkan". Retrieved 27 February 2018. ^ "29.11.2017. - eFP Battle Group Poland - Croatian Live Fire Exercise". Retrieved 27 February 2018. ^ "Odbor za obranu o Godišnjem izvješću o spremnosti". Obrana i sigurnost. Retrieved 24 December 2014. ^ "MORH traži hitan remont 27 njemačkih kamiona LkW MAN 5t MIL GL 4x4". Retrieved 24 December 2014. ^ "Image: grrc129sbd300w4elo6x.jpg, (2048 × 1158 px)". zaslike.com. Retrieved 28 September 2015. ^ "Image: iuqj30g7ugwu7vagb1vw.jpg, (2048 × 1158 px)". zaslike.com. Retrieved 28 September 2015. ^ "Godišnje izvješće o obrani za 2015" (PDF). Retrieved 26 February 2018.